Production Hire offer a Truss Dry Hire service, this service is for when equipment only is required and clients do not have a requirement for engineers or technicians. Equipment can be collected from our premises or we can deliver and collect if required. 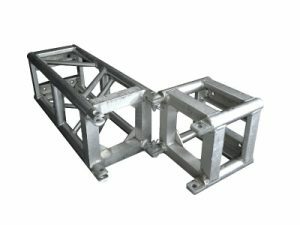 We have a wide selection of top of the range truss structures available for dry hire. Click one of our products below to see more info or contact our experienced team and they will be happy to assist you in meeting your truss dry hire needs. 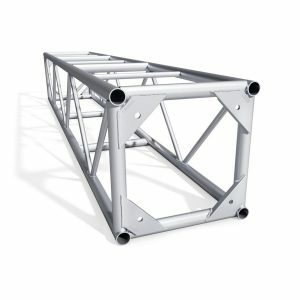 Thomas GP 12 truss is available to hire in 0.5m, 1m, 2m and 3mtr lengths. Thomas ground support x bases are available to hire. 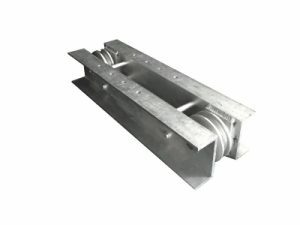 Thomas Ground support hinges are available to hire in 1m and 2m sections. Also referred to as a head block or roller beam. 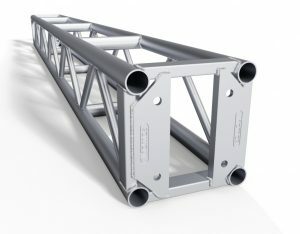 Thomas GP 20 truss is available to hire in 1m, 2m and 3mtr lengths. Thomas GP 7mtr truss circle, available in 4 sections. 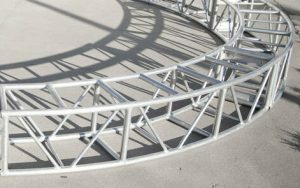 Thomas GP 16mtr truss circle, available in 12 sections.